The editor enthusiastically welcomes contributions from members or advertisers. 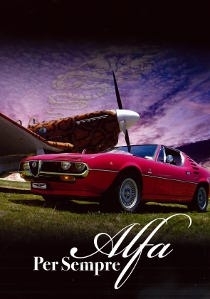 Submissions do not need to be technical in nature - any Alfa Romeo or Club topic is suitable. Photos are also very welcome. You can email your contribution to: editor@arocaqld.com. To place a commercial or block advertisement in the magazine (not a buy/sell/swap classified), please contact the Committee Member responsible for magazine advertising. Private classifieds (buy, sell or swap) can be submitted online. Classifeds are published in the magazine and posted on this website. Check out our online library of selected articles previously published in the magazine.